Exciting Events Taking Place this Weekend on the North Shore! Now that we’ve officially entered the beautiful fall season here on Chicago’s North Shore, you might be wondering about ways in which you can get out in the community and experience this well loved season to the fullest. I enjoy taking time to highlight what’s happening in the communities of Highland Park, Northbrook, Glencoe, Deerfield and Winnetka as I serve these cities as a North Shore Real Estate agent. Whether you’re considering a move to the area and want to learn more about what these communities have to offer, or you already own a home on the North Shore and are looking for something fun to do this weekend; you’ll want to be sure to check out these fun events! - Don’t miss the 3rd Annual Runway Show; the highlight of Fashion Week Highland Park! The Downtown Highland Park Alliance proudly presents Fashion Week Highland Park which showcases the luxurious and accessible items available in Downtown Highland Park! Various stores and boutiques will offer trunk shows, talks from designers, special savings and promotions during this week long event. This Fashion and Beauty Night Out this Thursday will showcase the latest fall trends and will include complimentary beauty treatments from local spas and salons, drinks and hors d’oeuvres. Attendees will receive a complimentary gift bag along with a special savings guide filled with coupons to participating retailers. Please visit the Fashion Week Highland Park website for more information and to reserve your free ticket! - Although the farmers market season is winding down, there is still one more last hurrah at the Deerfield Farmers Market this Saturday! The Harvest Fest and our annual Apple Pie Baking Contest will take place on this Saturday and is a great event you’ll want to attend! There will be kid's activities, balloons, contests, great prizes and more! Registration forms for the Apple Pie Contest and Watermelon Eating Contest are available at the market. For more information, please visit the Deerfield Farmers Market website. - Northbrook Court is hosting the 20th annual performance of the Northwest Suburban Music Teachers Association (NWSMTA) students, teachers and conductors. This two-day event takes place this Saturday and Sunday on the lower level near Lord & Taylor. In honor of the 20th anniversary, Northbrook Court will offer exclusive giveaways from retailers including kate spade new york, Crate & Barrel, S.a. Elite Sports Authority and more! Attendees will also receive limited retail offers and sample delicious treats from a variety of restaurants. For more information on the event, visit the Northbrook Court website. No matter what you choose to do this weekend, I hope you’re able to experience the beauty of the season and the North Shore! If you’d like more information on the North Shore Real Estate market or would like to view some of the homes currently available on the North Shore; please feel free to contact me today! Glencoe Active Listings: There are a total of 71 properties actively on the market with the average price of $1,685,184 in Glencoe. Glencoe Sold Listings: 18 properties closed last month in Glencoe with an average sales price of $978,972, the average time on market for these properties was 66 days. Highland Park Active Listings: There are a total of 208 properties actively on the market with the average price of $1,212,965 in Highland Park. Highland Park Sold Listings: 79 properties closed last month in Highland Park with an average sales price of $527,405, the average time on market for these properties was 79 days. Northbrook Active Listings: There are a total of 195 properties actively on the market with the average price of $656,574 in Northbrook. Northbrook Sold Listings: 82 properties closed last month in Northbrook with an average sales price of $488,255, the average time on market for these properties was 35 days. Winnetka Active Listings: There are a total of 114 properties actively on the market with the average price of $2,552,3574 in Winnetka. Winnetka Sold Listings: 34 properties closed last month in Winnetka with an average sales price of $1,525,759, the average time on market for these properties was 46 days. Deerfield Active Listings: There are a total of 97 properties actively on the market with the average price of $674,244 in Deerfield. Deerfield Sold Listings: 53 properties closed last month in Deerfield with an average sales price of $463,442, the average time on market for these properties was 44 days. 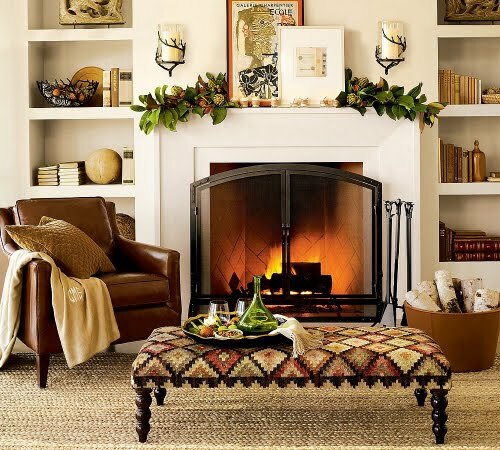 Prepare Your North Shore Home for Fall with These 7 Tips! Although it feels like summer is still hanging on here on Chicago’s North Shore, the beautiful, crisp fall season will be here before we know it! Autumn is always a picturesque time of year on the North Shore, and for those of you spending your first fall season here; you’re sure to enjoy the vivid colors of the trees and the bright blue skies. As one who’s lived and worked as a real estate agent on the North Shore for a number of years, I know it’s a favorite season for many. And, while my goal as a North Shore Real Estate agent is to help buyers and sellers navigate the real estate market, I also want to ensure that, as a resident of Highland Park, Deerfield, Northbrook, Glencoe or Winnetka, you can thoroughly enjoy your current North Shore home this fall. Having your home prepped for the coming cold weather season now can help you rest at ease and enjoy the festivities of fall. Below are seven tips for getting your North Shore home ready for the changing season! 1. 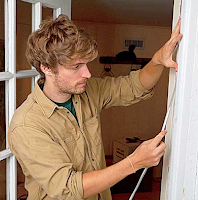 Caulk exterior- Think of caulk as weatherstripping in a tube. Any gap on the outside of your home can be a candidate for caulking. Look at transition spots: corners, windows, doors, areas where masonry joins siding, or places where vents and other objects protrude from walls. Carefully read manufacturer's directions to make sure the caulk you buy will work where you plan to use it, and don't forget to purchase a caulking gun. Early fall is a good time for this task because caulk becomes difficult to apply when the temperature falls. 2. Add weatherstripping to doors and windows- Weatherstripping can be plastic, foam, felt or metal; its job is to seal small gaps, keeping moisture and cold air outside where they belong. Newer, energy-efficient windows generally don't require added weatherstripping, but if your windows are older, weatherstripping can keep drafts at bay and energy costs down. 3. Insulation speculation- This is a good time to check the condition of insulation and see if you need more, especially if you live in an older North Shore home. you can purchase un-backed or loose-fill insulation if you are just beefing up what is already there. If your walls lack insulation, consider having a professional install blown-in insulation foam. The energy savings will probably offset the cost of the procedure in a couple of years. 4. Check storm windows- If you have storm windows that are cracked or dirty, repair and clean them now; prior to autumn installation. 6. Inspect your roof and chimney- If your roof isn't too steep, and isn't covered with slate or tile, you may be able to carefully walk on it on a dry day. Look for broken or missing shingles, missing or damaged flashing and seals around vent pipes and chimneys, and damage to boards along the eaves. Also peer down your chimney with a flashlight to make sure no animals have set up house in it. If you can't get on your roof, perform this inspection with a ladder around the perimeter. Some patches and roofing cement now can prevent thousands of dollars of water damage later in the winter. 7. Keep mice out- The fall inspires nesting in mice as well as humans. Mice are looking for a winter home now, and that newly insulated attic would be just the spot. Mice can squeeze through 1/4-inch openings. Make sure all exterior vents are screened, and that there are no gaps underneath garage doors. Hopefully these tips will help you prepare your North Shore home for fall so you can sit back and enjoy all that the season has to offer! If you don’t currently live on the North Shore, but have been considering moving to the area; please let me know! I would be happy to talk with you about your needs, wants and budget for your new home! Enhance Your North Shore Homes' Selling Power This Fall! With Labor Day now behind us, we’re looking forward to the beautiful fall season here on Chicago’s North Shore. Our charming neighborhoods that dot the Lake Michigan coastline come to life with vivid colors of red, orange and yellow leaves, while the cooler days entice us to soak up every last minute outdoors. If this coming season means selling your North Shore home, you may be a little worried about entering the North Shore Real Estate market this time of year. Unlike the spring and summer seasons, the fall can tend to mean less activity on the market. However, this doesn’t mean that selling your North Shore home this fall is impossible! In fact, there are a few reasons why selling your home now can be a great idea! For instance, you’ll have fewer homes on the market competing for buyers’ attention. Also, oftentimes those buying a North Shore home in the fall are eager to get settled in their home before the busy holiday season. To be sure that your home is as appealing as possible to buyers, I put together a few tips for enhancing the selling power of your North Shore home this fall. Take a look! 1. Create Beautiful Fall Curb Appeal- As we get more into the fall season, lawns and trees can begin to look drab. Summer flowers are long gone and creating an eye catching home from the curb can be more of a challenge. To make a solid first impression, be sure to keep leaves raked and debris off the driveway and sidewalk. You’ll want to add a simple fall wreath and maybe a few pots with brightly colored mums to your front porch. Also, don’t neglect your home. Any siding or paint issues will be more easily seen with less foliage, so be sure to power wash or touch up paint before you begin showing your North Shore home. These tips should help your home show beautifully this fall and allow buyers to envision themselves enjoying the cold weather months in your home! If you’re ready to begin the home selling process, or would like to learn more about my customized home selling plan; please contact me today!